Charming & Spacious 5BR/2BA Split-Level Home available with lots of room for a large family. Second Floor contains the Formal Dining Room which is conveniently right next to the Kitchen. Also on the 2nd floor are 3 Bedrooms and 1 Bathroom. Downstairs has the Formal Living Room, Heated Laundry Room, 2 Bedrooms and 1 Bathroom. Other features include a Large Back Yard and an Upper Deck. Centrally Located in Hinesville!!! 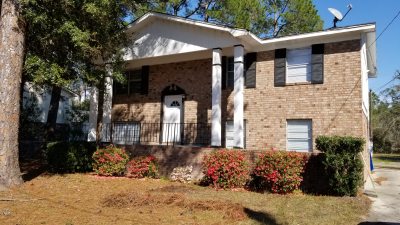 Just minutes from Ft Stewart, Restaurants, Schools, and Shopping Centers!! !